Edited by Gaetano Serviddio . Regular acquisition of new knowledge in Medicine is important to guarantee progression in diagnostics and therapeutics. In the last 10 years the discipline of Hepatology has achieved important results in the treatment of viral hepatitis. A global good results of hepatitis A and B vaccinations has been observed, and we are now following the clinical application of new generations of anti-HCV medicines that will offer more effective and less toxic anti-HCV therapies. Moroever, hepatocellular carcinoma, which is one of the most important difficulties of end-stage liver disease, has become an area for innovative targeted anti-cancer therapies. This e - book has been realized by a staff of specialists daily facing clinical problems in the prevention and management of liver diseases and has been designed for a global readership to provide some practical tips to physicians who want renew their level of practice in the field. It’s a practical volume for daily reference but also an instrument for improving expertise in viral hepatology and finding the unresolved problems. 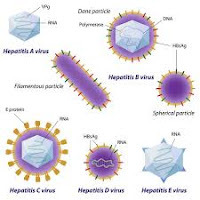 Management of HBV and HCV hepatitis in young and elderly, HEV hepatitis, evaluation of liver fibrosis, hepatocellular carcinoma, vaccine and prevention of viral hepatitis are several of the most important topics covered by the authors. The book is structured in three different sections containing 14 chapters. The first deals with the epidemiology and the development of vaccine in viral hepatitis. The second covers the practical management of viral hepatitis, the skin involvement of liver diseases and the impact of the treatment on the skin physiopathology and the modern interpretation of non-invasive scores of liver fibrosis and the psychiatric disorders related to antiviral therapy. The third section analyses the hepatocellular carcinoma, the malignant lymphoproliferative diseases and the cryoglobulinemia as the most important complications of viral infection. A specific chapter has been dedicated to patient education. I want to thank all the authors who have shared the project with me from all over the world for their efforts in the realization of the final book.